Ehwaz is the half-month stave through 14 April. Wunjo reversed is the intuitive rune, and Dagaz indicates the voice of Song’s message to us. Read right to left is Ehwaz, Wunjo reversed, then Dagaz. Berkana brought needed quiet after the chaos of Tiwaz in Mercury retrograde. It also ushered in its own brand of tension, though, focused more on how we cope with chaos. It’s easy in the aftermath of battle to just walk away from distress. It’s natural to want to. However, in that ripe timing, while it’s all still fresh and we’re treating the wounds is when we do our best, most focused grounding. Enter Ehwaz. 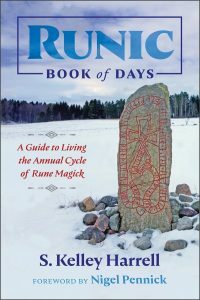 Ehwaz is the rune of going deeper. It means ‘horse,’ which I’ve talked a great deal about in TWR and the podcast–off the top of my head–episodes 52 and 17. What’s important to really hold about Ehwaz is that while it may have this honored historic precedence of meaning ‘sitting with the deeper spiritual animism of Things,’ in the modern construct of how we live, that very act is the single-most rebellious thing we can do. It is what we have been groomed for centuries not to do, through colonialism, the Church, oppression, capitalism. These isms were the end of animism, which means they were the end of our natural inclination to direct relationship to All Things. They stopped us going deeper. My take on Wunjo reversed isn’t so much a lack of joy, but the presence of disappointment. We often think the opposite of joy is sadness, though in those sad moments, our feelings are way more nuanced than just that. They are specific to the situation. They are personal, thus emotional. Despite the catalyst for our upset, we generally, blame ourselves for the grief (or not being able to move past it), which sets us up for: disappointment. There’s a lot going on in there, and this week we’re asked to examine the disappointments of our lives, to see where they are obstructing us from going deeper, where they are keeping us from our sacred duties, or where we carry disappointment around our ability to go deeper. All of these scenarios point to a black of some sort, a stuckness that has up to this point been intransmutable. The voice of Song speaks to us through Dagaz, and it hinted at how music allows us to side-step analytical processes to feel joy. It frees up processes by virtue of dual-hemispheric engagement that puts us deeply in touch with the surge of feelings that come up when in the presence of fabulous art, but more specifically, how we find meaning in it. And when we find meaning in art, we are able to unconsciously apply it to our own experience and mitigate how we move forward in it. 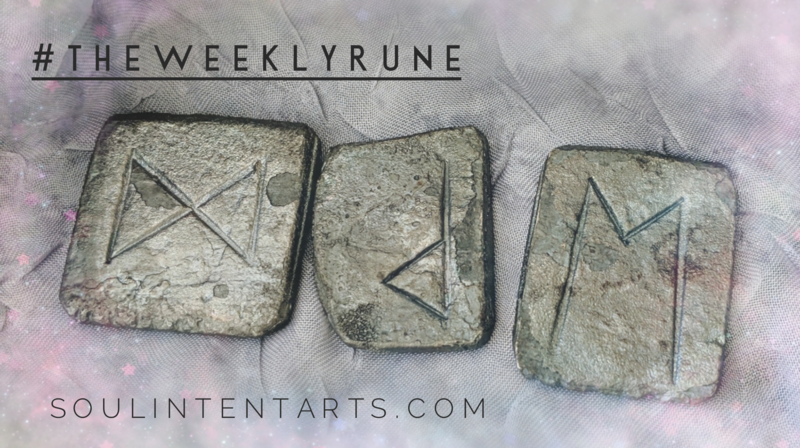 For suggestions on how to do that gracefully, subscribe to my private runes community on Patreon. Also find the Ostara, or Vernal Equinox Runecast there, for Seidrkin level-patrons.